WASHINGTON DC (October 5, 2018) – The National Science Teachers Association (NSTA) has been awarded administration of the Junior Science and Humanities Symposium (JSHS), an Army, Navy, and Air Force program. The mission of JSHS is to promote research and experimentation in science, technology, engineering, and mathematics (STEM) at the high school level and to recognize the significance of research in human affairs and the importance of humane and ethical principles in the application of research results. The program reaches more than 4,000 students every year. In its first year, NSTA will provide more than $2 million in services to manage JSHS. Each year, in 47 regional events, high school students across the nation join the JSHS to present their research projects and compete for scholarship prizes. The regional winners are then invited to a national symposium, to compete for even more scholarships and meet leading researchers and Nobel Prize recipients. Battelle chose NSTA following an extensive, competitive national search to select an organization to expand enrollment and reach of the symposia. NSTA’s management of the program begins on October 1, 2018 with the potential to extend through September 2023. The Academy of Applied Science managed JSHS on behalf of the tri-services for over four decades. JSHS traces its roots back to 1958 when it was founded by U.S. Army Colonel George F. Leist. The Battelle-led consortium of organizations began management of the AEOP in 2015 and aims to nearly double enrollment in consortium programs to 65,000 participants by 2025. In addition to Battelle and NSTA, the consortium consists of Purdue University, Tennessee Technological University, the Technology Student Association, MetriKs Amérique and Widmeyer Communications, a Finn Partners company. 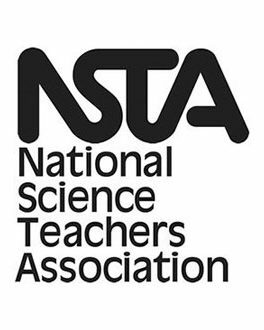 The Arlington, Virginia-based National Science Teachers Association (NSTA) is the largest professional organization in the world promoting excellence and innovation in science teaching and learning, preschool through college. NSTA’s membership includes approximately 50,000 science teachers, science supervisors, administrators, scientists, business representatives, and others involved in science education. For more information contact Katy Delaney at (614) 424-7208 or delaneyk@battelle.org or T.R. Massey at (614) 424-5544 or masseytr@battelle.org or Kate Falk at (703) 312-9211 or kfalk@nsta.org.